If you want to be a great boss, I suggest you pause and think carefully before using the word "lazy" to describe an employee. I know why you say it. You're frustrated. The employee isn't doing what you want. The person consistently delivers less than expected. You have to do something about that, but making a character assessment doesn't necessarily help. And that's what calling someone "lazy" really does: assumes their behavior is driven by internal values -- or lack of them. There may be much more to the story. In fact, you might be part of the problem. Don't get defensive about that; just get smart. In this column for Poynter.org, I list seven questions managers should ask themselves before declaring an employee "lazy." Just click on this link for the column and podcast. People often say "Make a wish" on one's birthday. Well, today's my day and I'll use the opportunity to make a wish for you. I wish you happiness at work and at play. And I hope the two intersect. I hope you find such joy in your work that it often feels like play -- and certainly pleasure. 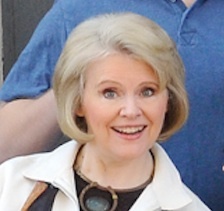 I'm smiling in this photo, which was taken earlier this year at a seminar for new managers, because it reflects the joy I feel in working with leaders. The workplace can be joyful. It happens when leaders believe in employee engagement and in building positive work environments. It takes values, skill and commitment. I know it's possible and I wish it for you as a leader and as an employee! 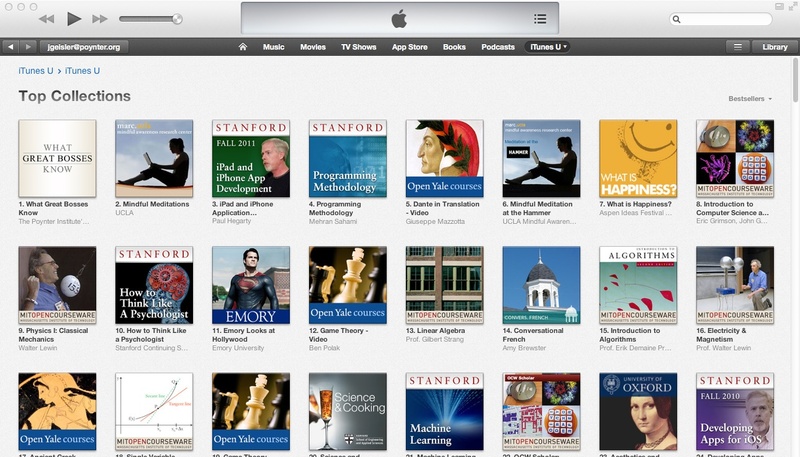 It's always a delight to see this on iTunes U. Once again this week, the "What Great Bosses Know" podcasts are ranked #1 among the many wonderful educational collections on the site. We began posting the podcasts in 2010. It was the popularity of these brief, practical audio lessons that led to the book contract for "WORK HAPPY: WHAT GREAT BOSSES KNOW." As of today, there are 129 different topics in the collection. According to the statistics provided by the site, most people use their phones or iPads to download them. When I wrote the book, I tried to use the same tone I bring to the podcasts. 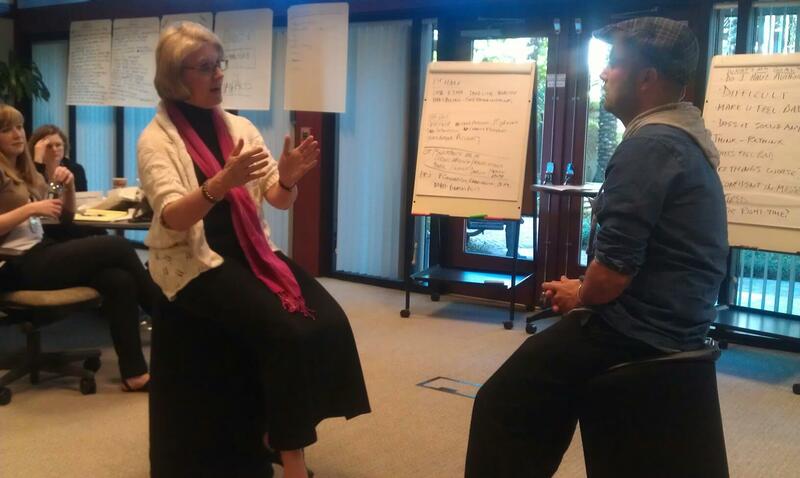 Leadership shouldn't be a lecture when it can be a conversation. 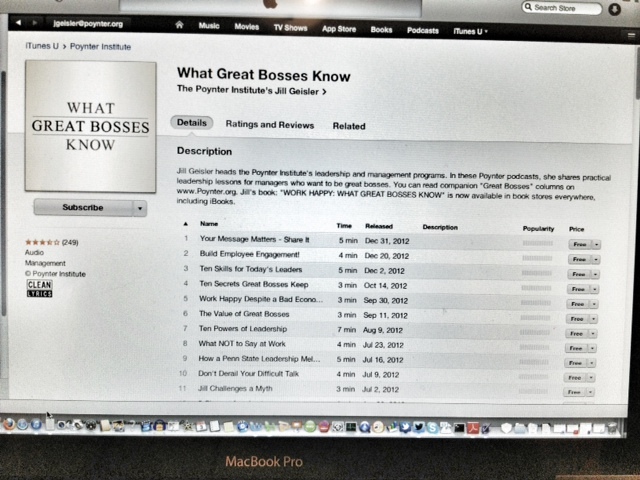 If you'd like to download the "What Great Bosses Know" podcasts, just click on this link. And if you have topics you'd like me to cover in future podcasts, feel free to send your ideas my way! The Milwaukee Journal Sentinel just published a special section focused on strong and healthy workplaces in southeastern Wisconsin. There are clear distinguishing qualities that set the best apart. Q: In your book, you talk of the five "symptoms" of a healthy workplace culture. What are they, and what makes them healthy? A: In a healthy workplace culture: Employees know it's not a democracy, but their voices matter. When employees feel they can offer ideas and be heard, they are happier at work - even if they don't get to make all the final decisions. For the the rest of the symptoms and many more tips, here's a link to the "Top Workplaces" special section. 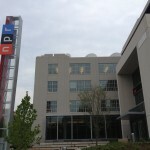 I'm in Washington, DC this week, teaching workshops at NPR. Folks here have just moved into a beautiful new building. It's not just a state-of-the-art workspace. It's also designed to bring many creative people together for better opportunities to think and collaborate. 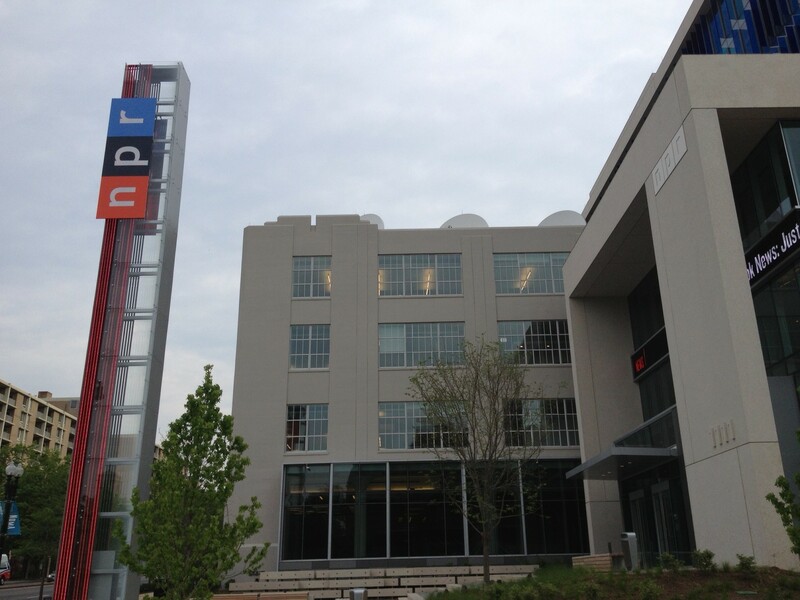 That's important here, for sure, because public radio is built on ideas. But every good organization wants to capture and cultivate good proposals, plans, thoughts, suggestions. It works best when leaders understand how to cultivate great ideas. How to make it easy and effective to pitch, catch and coach them. And here's a link to the full column and all ten tips. Future online marketing genius at work - 1994. He dresses better now and is about to complete his international MBA at the University of Denver. 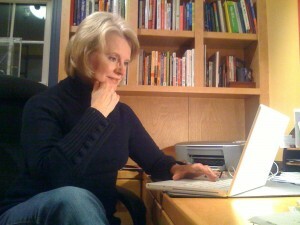 Mac also happens to specialize in online marketing. He persuaded me that it was time to update the look of the site. Then he set about doing it! Mac also spent time teaching me the nuances of the new site so I can easily feature more photos, videos, even podcasts. Always nice when the teacher becomes a learner! 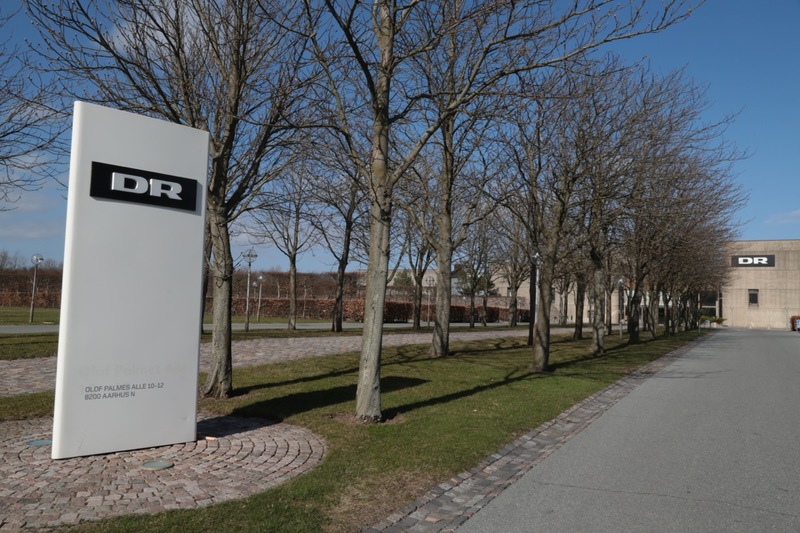 Happy to Say “Arbejdsglæde” in Aarhus! 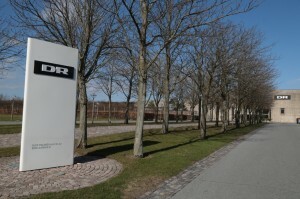 Welcome to the Aarhus studios and offices of DR - Danish Broadcasting. On a Friday morning in April, I spent the day there to teach about leadership and success. To say I was welcomed would be an understatement. 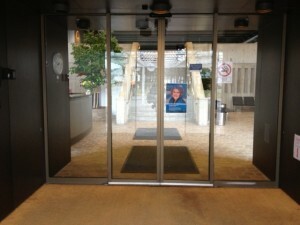 Take a look at the front door! That poster, announcing my morning talk to the full staff, was not only there, but everywhere around the building. I had been asked to talk to DR employees about a successful, creative and competitive workplace, with both the joys and the demands it places on people. In fact, the talk was titled "Surviving Success." 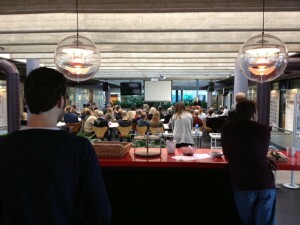 The shot below is from the back of the gathering. I'm that tiny spot in the front right corner. It is the Danish word for "happiness at work." Isn't it interesting that there's no one-word equivalent for it in English? We talk about motivation, or job satisfaction, but arbejdsglæde means more than that. It means the workplace is a great place and people look forward to coming to work. 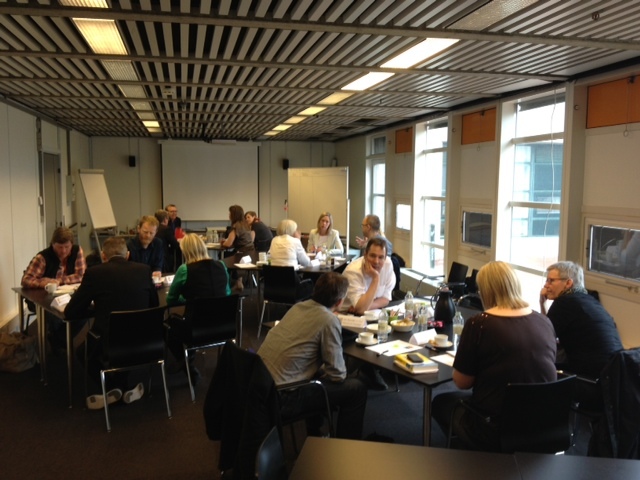 Great bosses guiding great employees create that culture of arbejdsglæde. The DR staff applauded my attempt to pronounce the word. (Sounds like "ah-BITES-glay-the") Later that day, I applauded their managers for their focus on leadership, during our daylong workshop. 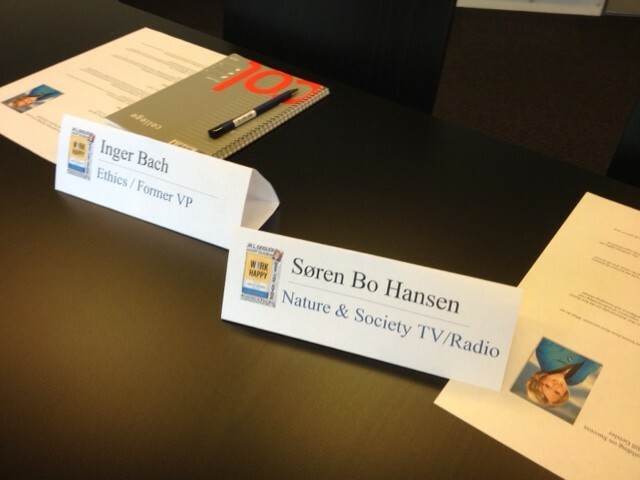 These are the top leaders of various aspects of DR's news and information programming. We talked about their values and how values lead to the choices they make every day as leaders. We focused on communication, collaboration and the development of successful and happy staff. As you can tell from the extra care DR took to emphasize the positive, right down to putting an image of "WORK HAPPY: WHAT GREAT BOSSES KNOW" on the manager's name cards, the word "arbejdsglæde" might have been new to me, but it's in the leadership lexicon of this team. Wisconsin area friends, I hope you will join me March 27. I've been invited by Cardinal Stritch University's Leadership Center to serve as one of this year's Helen Bader Leadership Speakers. Over the past ten years, the University has been at the fore of conversations about leadership and its impact on business, education, government and civic life. Stritch brings together people who care about leadership, problem-solving and success in a diverse society. I'm honored to be a featured speaker this year. 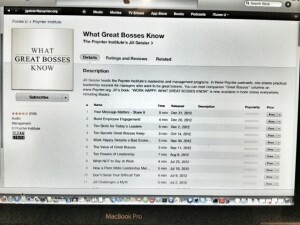 The “What Great Bosses Know” Podcasts – Guess How Many 2012 Downloads? "WORK HAPPY: WHAT GREAT BOSSES KNOW" is a book that had its roots in a podcast. 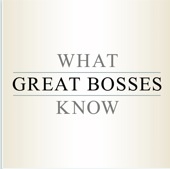 That podcast, "What Great Bosses Know," is available on iTunes U, which is the learning center on iTunes. All sorts of colleges, universities and academics post courses and collections there. Apparently lots of people have found "What Great Bosses Know," according to the weekly download reports for 2012 that come to us from ITunes. Yes, that's three million, one hundred eighty-seven thousand, three hundred and twenty-four. It amazes me, too. But it's a tribute to the interest worldwide in becoming a better leader and manager. 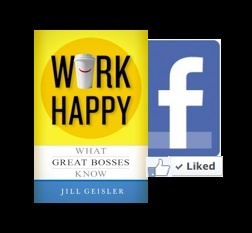 Many people who've purchased "WORK HAPPY: WHAT GREAT BOSSES KNOW" discovered it through the podcasts. The production isn't sophisticated. My studio is wherever my laptop and I happen to be. This photo is from my home office, but I've recorded in many locations, including on the road when I'm away teaching or consulting. The podcasts are brief, practical and conversational. People tell me they listen to them while driving to work and even while exercising. Perhaps the real secret to their popularity, though, is that they are FREE! If you'd like to be among the 2013 downloaders, just click on this link and it will take you to iTunes U and the "What Great Bosses Know" podcasts. 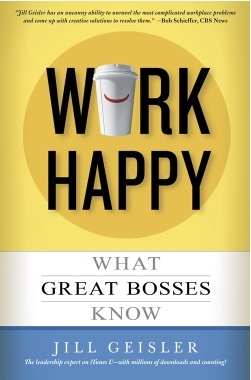 And of course, if you like what you learn by listening, just think what "WORK HAPPY: WHAT GREAT BOSSES KNOW" -- with its greater depth -- could do for you!